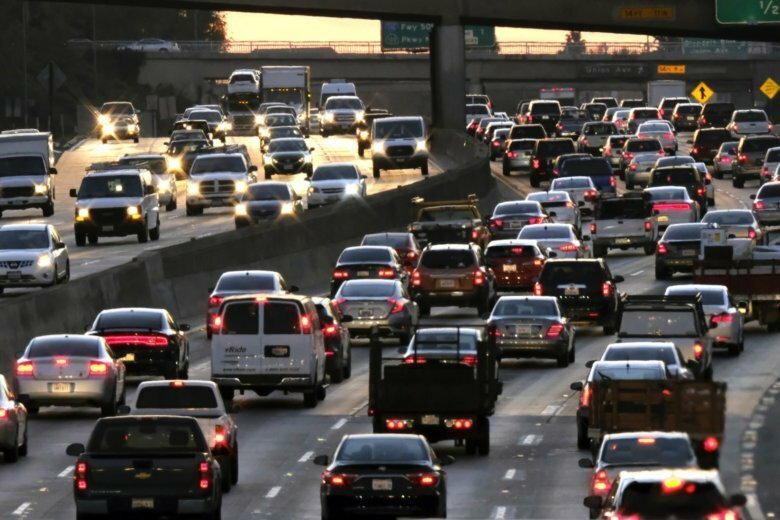 SACRAMENTO, Calif. (AP) — Worried they would lack big-name candidates at the top of the ticket this November, California Republicans turned to a ballot measure that would eliminate a recent gas tax increase in hopes of exciting conservatives and ensuring they show up to support lower-profile legislative and congressional candidates. A potential similar strategy for 2020 emerged Tuesday, when a conservative radio host who is the public face behind this year’s gas tax initiative announced he will pursue another measure — this one eliminating the state’s beleaguered high-speed rail project. Though it’s a presidential election year, California is overwhelmingly Democratic and a Republican hasn’t won the state since 2006. Early phases of construction have begun on the train meant to take passengers between Los Angeles and San Francisco in less than three hours. But the $77 billion project championed by Democratic Gov. Jerry Brown and his supporters has seen costs spike and the completion date pushed back. “This is a colossal failure of these politicians, and you don’t want to throw good money after bad,” said Carl DeMaio, a former San Diego city councilman who now hosts a radio show. The 2020 initiative also would change the state Constitution to require all fees related to transportation — from the gas tax to taxes on vehicle sales and car insurance — be spent only on transportation-related projects. Those dollars could not go to the general fund. It’s backed by DeMaio and others behind Proposition 6, which will ask voters this November if they want to repeal a 12-cent gas tax hike and increases in vehicle registration fees approved by lawmakers last year. Proposition 6 was funded in part by California’s Republican congressional delegation, including Kevin McCarthy, the No. 2 Republican in the U.S. House who is seeking to replace Paul Ryan as speaker. It was an unusual intervention by elected U.S. officials in a state political campaign. They gave their support when it looked possible that no Republican would be in the races for governor and U.S. Senate this November. Republicans feared that would depress turnout among conservatives and allow Democrats to win close contests down the ballot, potentially giving them control of the U.S. House. They dodged that scenario, however, when Republican businessman John Cox snagged the second position in California’s gubernatorial primary, in which the top two finishers advance to the general election regardless of party. The U.S. Senate race has two Democrats and no Republicans. In 2020, California will have neither a Senate nor governor’s race on the ballot. “I have to believe that it’s an issue that’s being used because Trump doesn’t generate turnout, doesn’t generate excitement in California,” said Sherry Bebitch Jeffe, a public policy professor at the University of Southern California, said of the latest initiative. Thad Kousser, chairman of the political science department at University of California, San Diego, said he’s skeptical ballot measures can tip an election. “I don’t think there’s any state initiative — and certainly not these — that’s going to make people more motivated to turn out than their view of whether they are loving or hating President Trump,” he said. California’s high-speed rail project has become politically fraught. A poll conducted in March by the Public Policy Institute of California found tepid support for rail and overwhelming opposition among Republicans. Forty-six percent of likely voters said they support the project, with 52 percent opposed. Among Republicans, just 28 percent supported it, with 69 percent opposed. Independents were evenly split, while two-thirds of Democrats supported it. DeMaio said his proposals have nothing to do with driving Republican turnout and predicted conservative voters will be motivated regardless. Voters approved roughly $10 billion in bonds in 2008 to construct the high-speed train. It was supposed to cost about $40 billion. Now, the cost has ballooned to an expected $77 billion, with the completion date pushed to 2033. Construction is underway in the state’s Central Valley agricultural heartland, but officials don’t have enough money to complete the first phase from Bakersfield to San Francisco. The project has between $20 billion and $28 billion in hand. Its funding comes from the bonds, federal dollars and revenue from the state’s cap-and-trade program that requires businesses to buy credits to emit greenhouse gases. The proposed ballot measure would halt funding for high-speed rail, force the state to cease activities on it and use any unspent bond money to retire the debt. The federal money has already been spent. Some Democratic lawmakers have grown frustrated by the problems with California’s largest single infrastructure project. Lt. Gov. Gavin Newsom, the Democratic gubernatorial candidate, said he supports it but is concerned about its financing. Cox, the GOP candidate, says he would kill the project.